It’s now 2010. The second decade of the 21st century! 2010 is the "Year Of The Tiger". 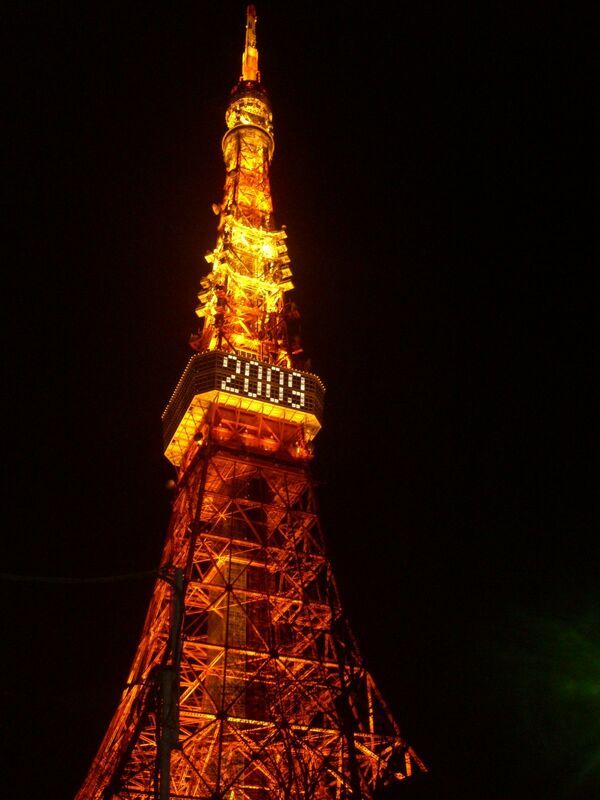 If you go to the Tokyo Tower by 2010 Jan 17 (8:00-10:00PM), you can see it lit up with "2010"
Every year on New Year’s Eve in Japan, many people watch 「紅白歌合戦」 (“Red And White Song Battle“) on TV. It’s a music show with two teams of musicians (a “red” team and a “white” team…red and white are the colors or celebration) competing for points based on their live song performance. Just before midnight, they countdown to the new year. 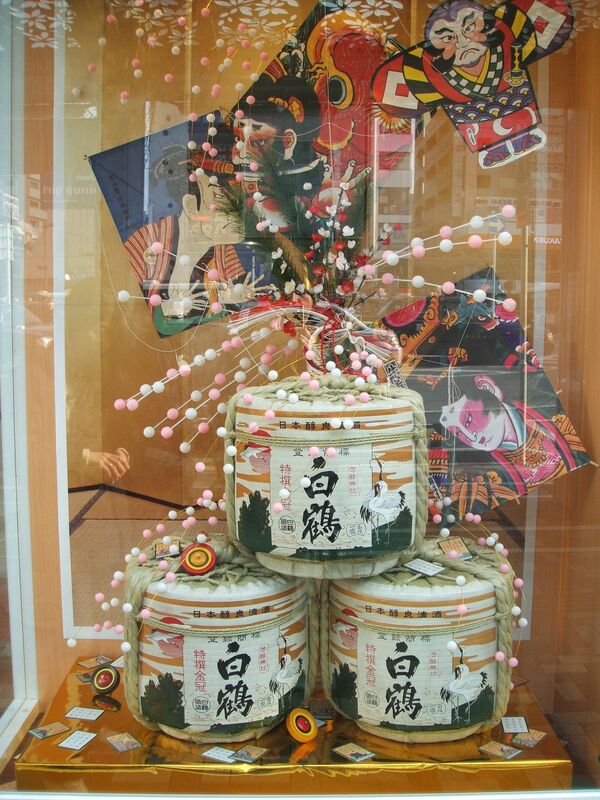 This show has been a New Year tradition in Japan for many years. Last night we watched the show…as we usually do every year. Here’s a clip of the show from yesterday. And as I mentioned in an earlier post, Susan Boyle came to Japan to perform on this show last night. It was an excellent performance. America also has a musical New Year countdown show that has been aired for many years. I used to watch it when I was a kid. On this show, they show a illuminated ball descend a tower in New York City…the ball is timed to reach the bottom of the tower precisely at midnight on New Year’s Eve. I haven’t seen this show since the mid-1980s…but I’m sure it’s still on the air every year. Time flies. TV and music (and life in general) is so different now! How about ten years ago? New Years Eve 1999 ushered in the year 2000 (the start of the 21st century). Remember the “Y2K scare” at that time? In many ways X-mas and New Years are exact opposites of each other in Japan and Western countries. In Western countries, Xmas is the biggest holiday of the year with the post office busy delivering Xmas cards, many stores are closed and families gather to enjoy a big dinner together and give gifts to children. And then New Years is celebrated on New Years Eve and quietly ends the next day. In Japan, it’s the other way around. Here, Christmas is often celebrated in Xmas Eve by couples going on a date and families having a dinner of chicken and Xmas cake for dessert (just as many people have this dinner on Xmas Day as do on Xmas Eve). 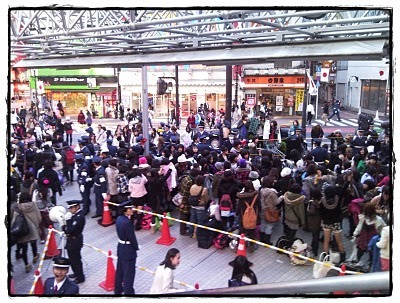 But Xmas ends quietly and people get ready for New Years…Japan’s biggest holiday. 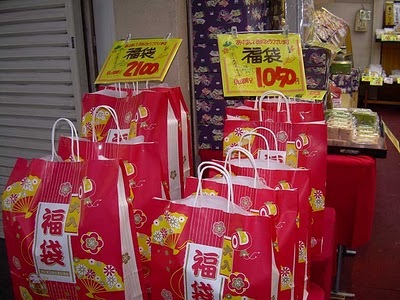 Just like Xmas in the West, in Japan New Years is the biggest holiday of the year with the post office busy delivering 年賀状 (New Years postcards), many stores are closed and families gather to enjoy a big dinner together and give gifts (お年玉) to children. Click here to read the post I wrote about Japanese Xmas last year. Also, yesterday was 天皇誕生日 (the Emperor of Japan’s birthday). Christmas isn’t a legal holiday in Japan…it’s a regular work / school day, but the Emperor’s birthday is a legal holiday. It’s also one of the only two times a year that the public is allowed inside the inner grounds of the Imperial Palace (the other time is just after the New Year). 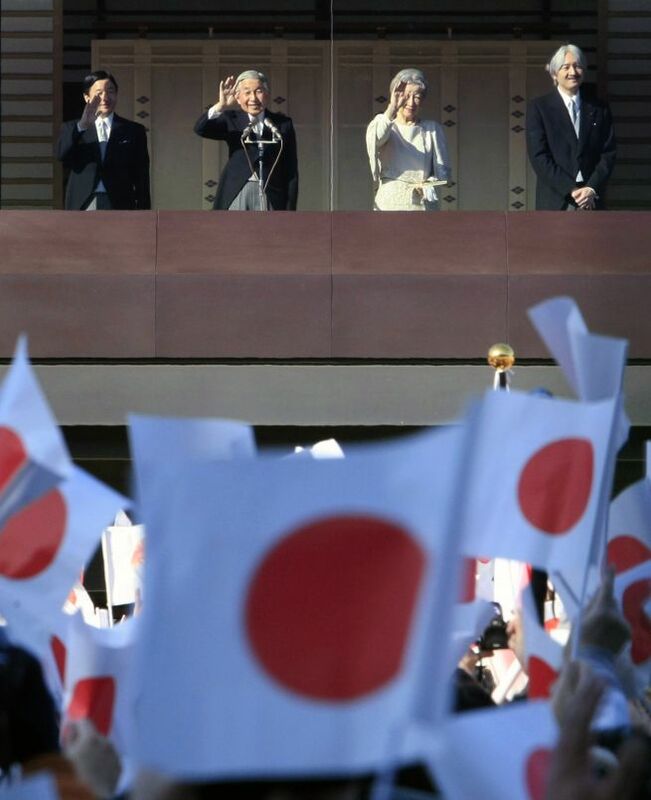 People who go into the Palace grounds can see the Japanese Royal Family and hear the Emperor give his annual birthday speech. Last year, I wrote a post about the Emperor’s birthday too. Click here to read it. 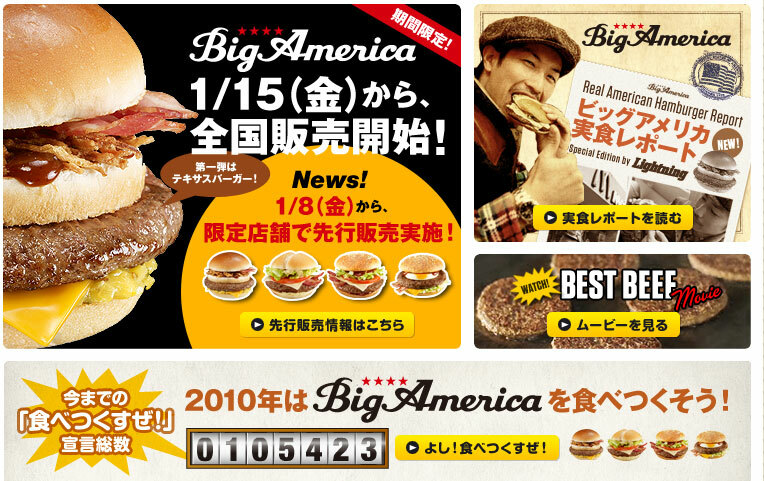 Completely unrelated, but I heard about a website called 「美人時計」 (“Beautiful Girl Clock“). It show a new photograph every minute of a pretty girl in the Tokyo holding a board with the current time (of course in Japanese Standard Time (JST)). This site is extremely popular. 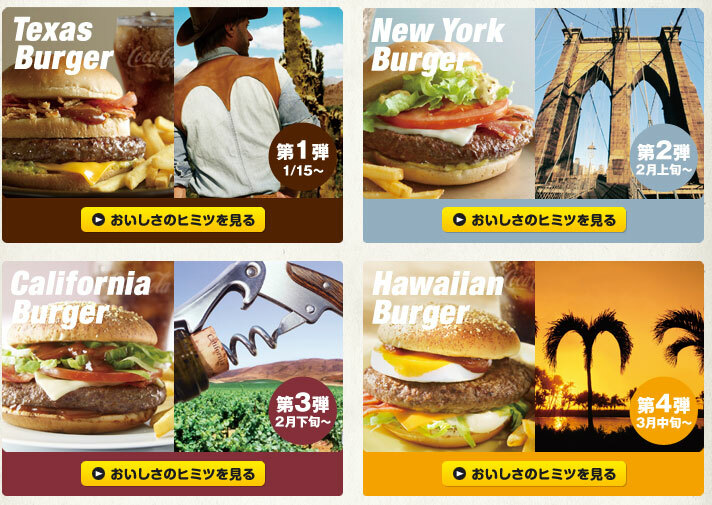 So they decided to make another version…now there’s a 「ギャル時計」 (“Gal Clock“) too. “Gal” is a type of 渋谷 (Shibuya, Tokyo) girl fashion. Click here for the 「美人時計」 (“Beautiful Girl Clock“). When my daughters were younger, there were a couple of Japanese games that I used to play with them that help improve my Japanese language ability. 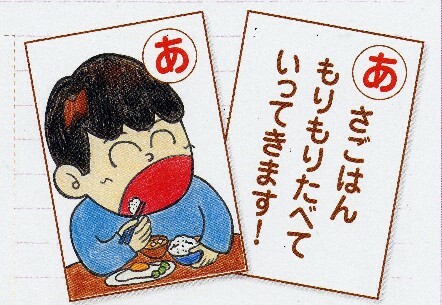 「しりとり」 (“Shiritori“) and 「カルタ」 (“Karuta“). Do you know these games? Have you ever played them? This is a word game that two or more people can play. The first person says any Japanese noun. It can be any word as long as it doesn’t end with the 「ん」 (“n“) character. – The next person says any Japanese word that begins with the same character that the previous word ended with. – And the next player does likewise. – The game ends when a player loses by either saying a word that has already been used or saying a word that ends with the 「ん」 (“n“) character (because no word in the Japanese language begins with 「ん」). – When a word end with a character with 濁点 (「゛」) or 半濁点 (「゜」), the next player can use the character with or without it (ie: If a player’s word ends with 「ば」 or 「ぱ」, the next player’s word can start with either that character or simply 「は」). 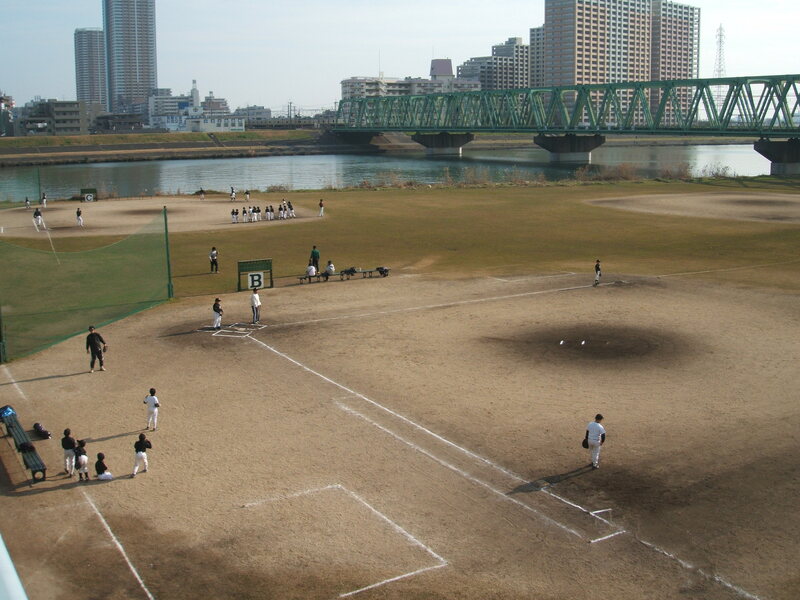 This is a Japanese card game that can be played by three or more players. It’s often played at New Years time in Japan (I still play this game every New Years with my daughters). Karuta has two decks of cards. One deck is called 読み札 (Reading deck), and the other is 取り札 (Taking deck). Each card in the 取り札 (Taking deck) has a picture illustrating a phrase and the first character from that phrase…the 読み札 (Reading deck) have the phrases. – The 取り札 (Taking deck) is spread out on the floor and all players, except the one player who will be the “reader”, sit around the cards. – The reader shuffles the 読み札 (Reading deck) and reads the top card. – The other players have to find and hit the card on the floor that corresponds with the one just read before another player gets it. – Whoever has the most cards at the end wins. Wanna play 「しりとり」 (Shiritori) against me in the comments section? I’ll write a word here and you can write the next one in the comments section of this post and we can go back and forth until someone loses. 「ゴリラ」 (Gorira (gorilla))…(you have to write a word that starts with 「ら」 (“ra“). Yesterday both my oldest and my youngest daughters had their 入学式 (School Entrance Ceremony). My oldest daughter began 高等学校 (High School (10th grade)) and my youngest daughter began 中学校 (Junior High School (7th grade)). (My second daughter is now a 中学校三年生 (Jr. High 9th grader)…her last year of 中学校 (Junior High School)). Since two of my daughters had their 入学式 (School Entrance Ceremonies) on the same day, my wife went with our youngest daughter and I went with our oldest daughter. I can’t believe how fast they’re growing up! Tokyo Tower illuminated for New Years 2009. 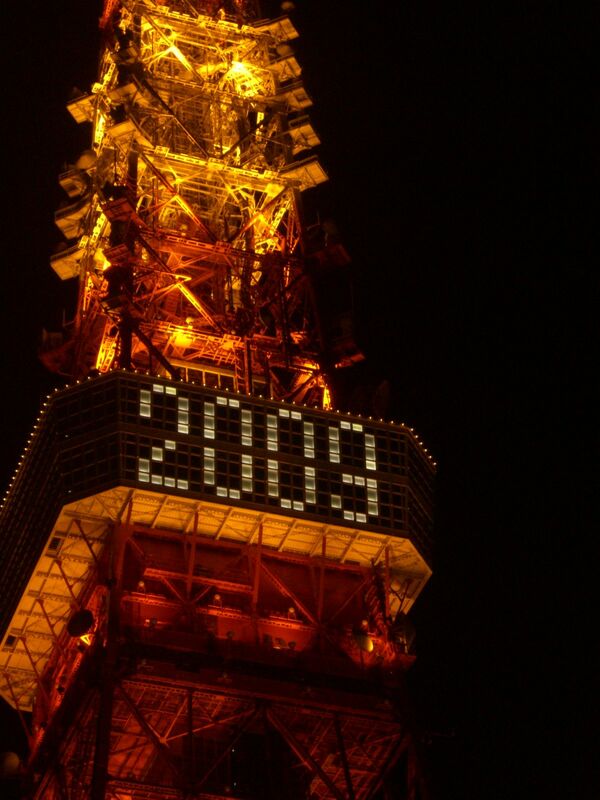 Tokyo Tower illuminated with "2009" for New Years. 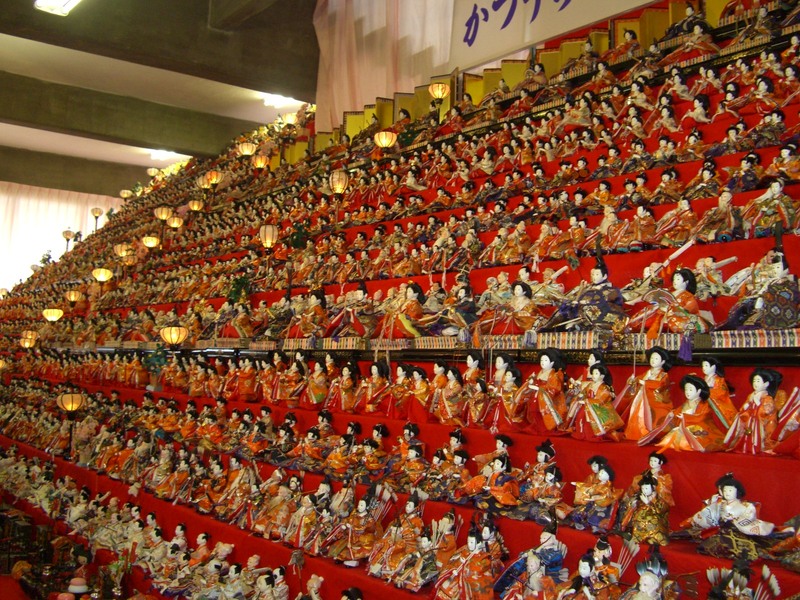 An extremely large doll display for ひな祭 (Doll Festival). 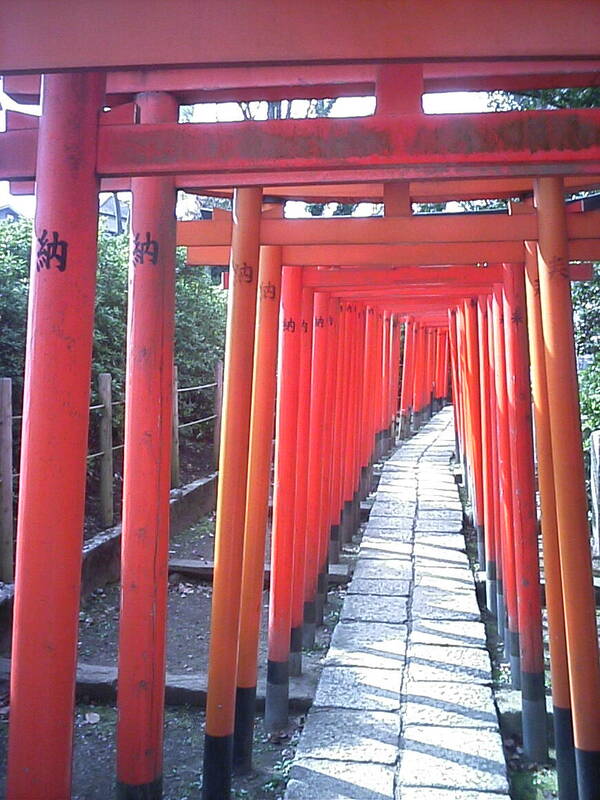 Over a hundred of Torii Gates at 根津神社 (Nezu Shrine). 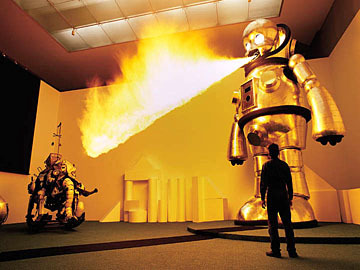 About twelve days ago at 六本木ヒルズ (Roppongi Hills), an artist named Yanobe Kenji displayed his 7.2 meter (23.6 feet) tall robot called “Giant Torayan“. …the ultimate child’s weapon, as it sings, dances, breathes fire, and follows only those orders given by children. Click here to visit the “Giant Toryan” website.